Born in the north-east of England, Andrew Constantine began his musical studies on the cello. Despite a seemingly overwhelming desire to play football (soccer) he eventually developed a passion for the instrument and classical music in general. Furthering his playing at Wells Cathedral School he also got his first sight and experience of a professional conductor; “for some reason, the wonderful Meredith Davies had decided to teach in a, albeit rather special, high school for a time. Even we callow youths realized this was worth paying attention to!” After briefly attending the Royal Northern College of Music in Manchester, a change of direction took him to the University of Leicester where he studied music, art history and politics. A chance discovery at an early age of a book about the great conductor John Barbirolli in his local library had instilled in him yet another passion – conducting. Later, as he began to establish his career, the conductor’s widow Evelyn Barbirolli, herself a leading musician, would become a close friend and staunch advocate of his work. His first studies were with John Carewe and Norman Del Mar in London and later with Leonard Bernstein at the Schleswig-Holstein Music Festival in Germany. At the same time, he founded the Bardi Orchestra in Leicester. With this ensemble he performed throughout Europe and the UK and had his first taste and experience of conducting an enormous range of the orchestral repertoire. A British Council scholarship took Constantine to the Leningrad State Conservatory in 1991 where he studied with the legendary pedagogue Ilya Musin. He cites Musin as being the strongest influence on his conducting, both technically and philosophically. “Essentially he taught how to influence sound by first creating the image in your head and then transferring it into your hands. And, that extracting your own ego from the situation as much as possible is the only true way of serving the music. He was also one of the most humble and dedicated human beings I have ever met”. In turn, Musin described Andrew Constantine as, “A brilliant representative of the conducting art”. Constantine’s repertoire is incredibly broad and, while embracing the standard classics, spans symphonic works from Antheil and Bliss to Nielsen and Mahler. His affinity for both English and Russian music has won him wide acclaim, particularly his performances of the works of Elgar and Vaughan Williams. His “Made in America” series in 2013/14 at the Fort Wayne Philharmonic included works by eight US composers, four of whom are still living, and one world premiere. In 2004, he was awarded a highly prestigious British NESTA Fellowship to further develop his international career. This was also a recognition of Constantine’s commitment to the breaking down of barriers that blur the perceptions of classical music and to bringing a refreshed approach to the concert-going experience. This is a commitment that he has carried throughout his work and which continues with his advocacy for music education for all ages. “Taste is malleable; we only have to look at sport to see the most relevant analogy. It’s pretty rudimentary and not rocket science by any stretch of the imagination. The sooner you are shown the beauties of something, whether it be football or Mozart, the greater is the likelihood that you’ll develop a respect or even a passion for it. It complements our general education and is vital if we want to live well-rounded lives. As performing musicians our responsibility is to not shirk the challenge, but keep the flame of belief alive and to be a resource and supporter of all music educators.” Another project created by Constantine geared towards the ‘contextualizing’ of composers’ lives is The Composer: REVEALED. In these programs the work of well-known composers is brought to life through the combination of dramatic interludes acted out between segments of chamber, instrumental and orchestral music, culminating with a complete performance of a major orchestral work. The year 2015 saw the debut of Tchaikovsky: REVEALED. 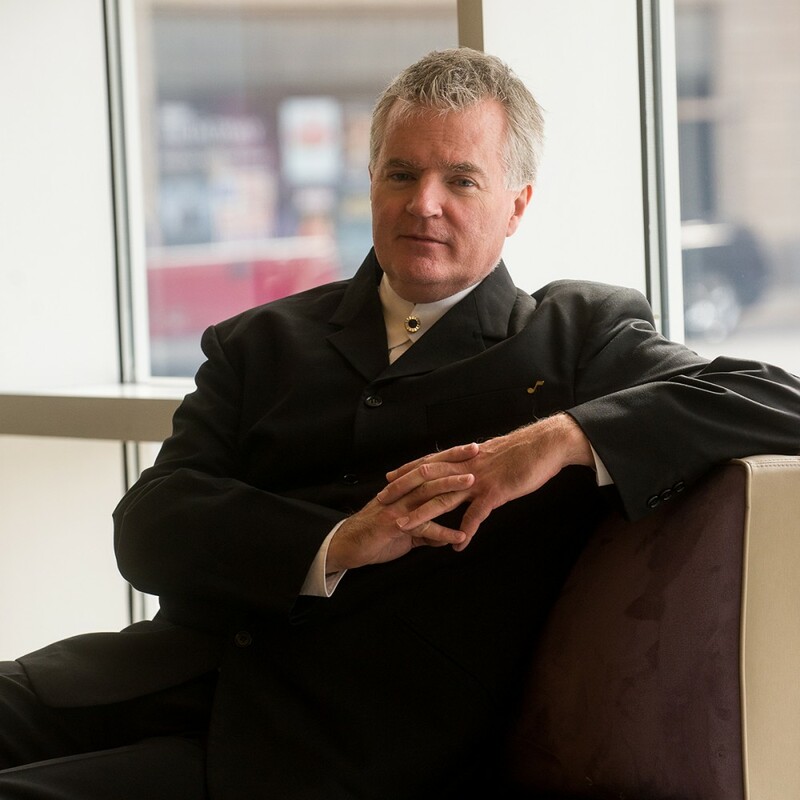 In 2004, Andrew Constantine was invited by the great Russian maestro Yuri Temirkanov to become Assistant Conductor of the Baltimore Symphony Orchestra. Within a year he became Associate Conductor and has enjoyed a wonderful working relationship with the orchestra since that time. As Temirkanov has said, “He’s the real thing. A serious conductor!” In 2007 he accepted the position of Music Director of the Reading Symphony Orchestra in Pennsylvania – after the RSO considered over 300 candidates - and helped the orchestra celebrate its 100th Anniversary as they continue to perform to capacity audiences. In addition, in 2009 he was chosen as the Music Director of the Fort Wayne Philharmonic from a field of more than 250 candidates.